The Art of Acting Studio is accredited by the National Association of Schools of Theater. In accordance with provisions of the California Education Code 94866, 94890, Art of Acting Studio has been licensed to operate as an Accredited School by the Bureau for Private Postsecondary Education. The Art of Acting Studio is in compliance with state standards set forth in this chapter. For more information from the Bureau for Private Postsecondary Education, click here: www.bppve.ca.gov. 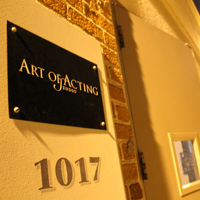 The Art of Acting Studio is an acting school and cultural center in Los Angeles. 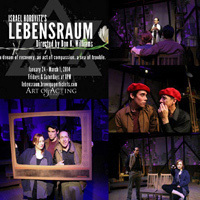 Its roots go back to Jacob P. Adler, one of the great actors of the American Yiddish Theater; to Stella Adler, legendary acting teacher and practitioner of modern acting technique; and also to Harold Clurman, cofounder of the Group Theater. The spirit that has animated the American acting landscape for the past 100 years infuses the Art of Acting Studio’s goals and mission, which revolves around the idea that growth as an actor and growth as a human being are synonymous. The scope of the school’s current activities can be summarized in two categories: 1) professional actor training through a non-dogmatic approach and 2) arts and cultural events that are free and open to the public. Recent participants in these events include Annette Bening, Anthony Zerbe, Sam Rockwell, and Bill Paxton. The Art of Acting Studio will expand its programming and training in the coming months through an outreach program, providing free actor training to inner-city youth. 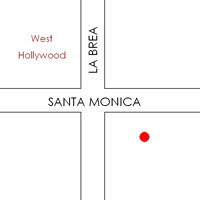 The Art of Acting Studio upholds a unique focus in American actor training. Like Stella Adler, Harold Clurman, and Constantin Stanislavsky, the studio affirms that the primary function of acting is to uplift humanity. A successful student for the Art of Acting Studio is not necessarily one who becomes famous or rich, but one who connects to his or her deeper self and to our shared humanity. The school is a cultural center determined to train actors and support artists not despite but in the face of a world in crisis. A young actor’s need to act is stronger than an intelligent nonprofessional can comprehend. The world may think an actor’s ambition is focused on an appetite for money, success, and fame, but even those who admit to these aims tell only part of the story. Acting is different from most other professions because it requires its dedicated practitioners to struggle toward a brutally honest, creative way of life. All tangible professions that are recognized and understood are good, but they tend to be too confining for an actor’s chaotic psyche. Once that energy is channeled in the theatre and through acting, the actor quickly realizes the unlimited powers of imagination. A blossoming of emotional range follows this realization. Plays are no longer read for amusement; they are studied to learn about life. The world is no longer an occasional space for vicarious being; it is a constant staging area for vital engagement. The actor ceases to be an observer on the fringe of life but feels permission to investigate, audaciously, life’s every nook and cranny. Everyday reality is no longer enough for the actor. Only an art form will do to express the reality of life. Even if you take the physical staging platform away, the actor will grow, for the tools, training, and discipline are there. To grow, by the way, is the deepest and truest need of any human being who says, “I want to be an actor!